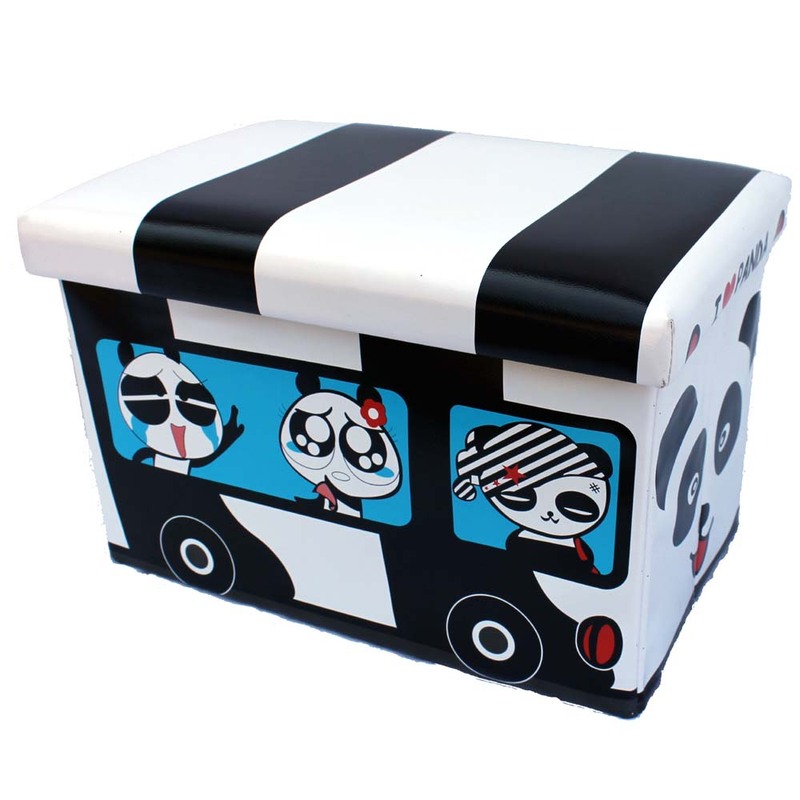 A higher quality large panda bus toy box (49cm x 32cm,h32cm), which doubles as a sturdy seat. Panda characters are looking out of the windows on either side and there is a panda's face at one end. The registration plate is panda. It is lined in black and has a thick padded top.